Aeration Pumps & Windmills – 10,000 Lakes Aquaculture, Inc. The system is designed to aerate ponds ranging in size from 1/8 acre to 3 acres, requiring only 3-5 mph winds to effectively aerate. 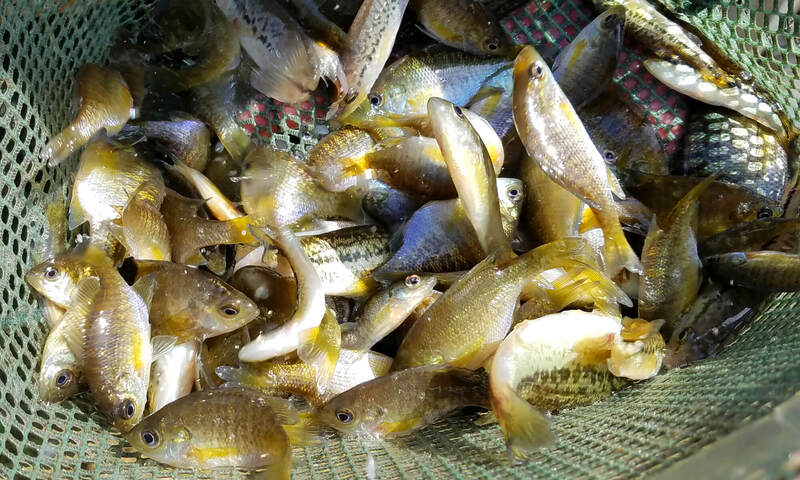 Working with nature to re-circulate pond water from the bottom up helps to eliminate fish kills due to pond turnover and low oxygen in the winter months. Customize your aeration system to the needs of your pond with one of our Pond Accessory Kits pictured below. · Operates in as little as 3 mph winds. 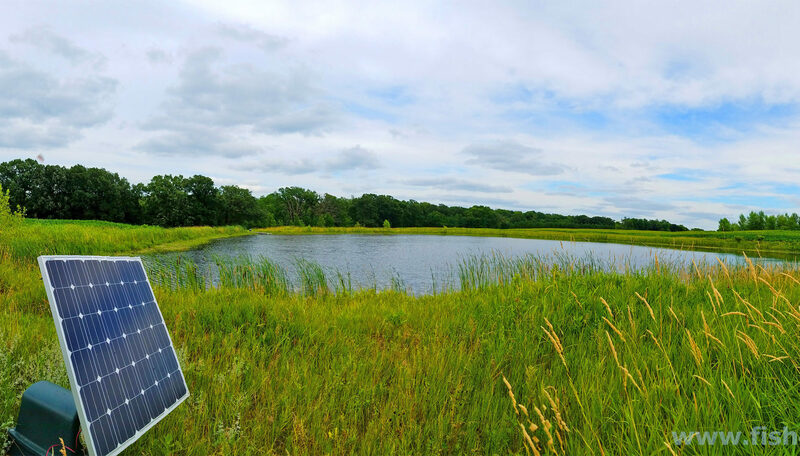 · Can be located up to 1,000 feet away from the pond. · Can aerate ponds ranging in size from 1/8 acre to 3 acres. 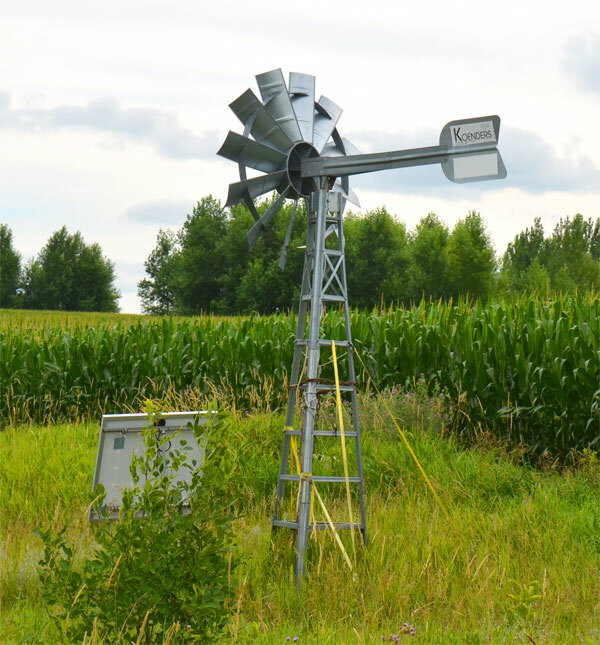 · Leading the market in pond aeration technology, the OWS Aeration Windmill with our patent pending “Bal-Cam” technology, uses wind energy to add critical oxygen to your pond or lake. · This made in the USA system generates 3.0 – 4.5 CFM of oxygen at 30 psi. · 5 year warranty on the compressor & 3 years on the tower. · Designed to be much easier and faster to assemble than other windmills on the market. Includes one piece hub design. All windmills have powder coated compressors and hubs for longevity. When added to any windmill, the freeze control system will keep the line from freezing and air flow to continue. This will also hinder ponds from freezing and reduce the need to break ice in winter months. ¼ HP ROCKING PISTON AIR COMPRESSOR KIT for ponds up to 1 acre. Will operate up to 35′ deep. Motor draws 1.9 amps and pumps 1.5 CFM of air. PA33W kit replaces the poly tubing with 100′ of weighted tubing. Rotary vane pumps do not operate as deep as the diaphragm and piston pumps — maximum operating depth is 18′. The ¼ HP model pumps 4.5 CFM of air compared to 1.5 CFM with the ¼ HP piston compressor. This larger volume of air will increase circulation and oxygen levels for faster cleaning of the pond’s bottom. The ¼ HP rotary vane kit is recommended for ponds from one to two acres, but it is often used in ponds less than 1 acre if high fish population, exceptionally poor water conditions or heavy nutrient buildup exists. The ¾ HP models are recommended for ponds two to four acres, while the 1 HP is used in ponds larger than three acres. Our weighted air line is manufactured with the right weighting so it sinks to the bottom of your pond, even when it’s full of air. By keeping the air line on the bottom of your pond, you don’t have to worry about it getting tangled up with fishing line, boat motors or people swimming. Convenient and easy to use, these hose connector kits help connect your airline. Our ARL0035 kit is designed to connect your weighted airline to poly-tubing or to connect multiple pieces of weighted airline together. Our ARL0034 kit connects multiple pieces of our poly-tubing together. They can also be used with weighted airline if you have hose clamps. Repair kit includes four vanes, gasket and two black internal air filters.